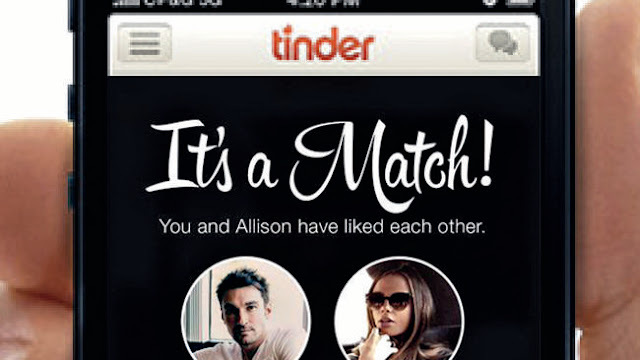 It's not entirely fair to dump every issue with online dating on Tinder's doorstep. While it's not the most popular app, it's the most popularised one, the one the media is most keen to point an accusing finger at, partly thanks to Vanity Fair, so now when something does come up, their name is quickly stapled to it. This time, the issues are two fold, one from Australia, the other from here in the UK. Starting down-under, Australian authorities have been dealing with a new, unsettling and dangerous phenomenon - underage users. You don't have to be over 18 to use Tinder, 13-17 year olds can only see other 13-17 year olds, but saying that such a limitation is strictly enforced is like saying that you have to pay for WinRAR after the trial ends. It's harder to download a pirated movie than to fake your age on Tinder. Studies have shown that Aussie teens as young as 13 have been using the app to look for matches, as if they were adults. The obvious question is, why? Even if the teens in question were looking to cozy up to some love-lorn twenty-something, the moment they met in person the bubble would burst with a deafening thunderclap, drenching the surrounding area in a deluge of awkward. As it turns out, it's bragging rights. The kids want to compete to see who can get the most matches. The glaring issue with this is obvious - Tinder is a geolocated, picture-based app, easily accessed by just about anyone, up to and including sexual predators. Sure, the claim is they never have any intention of meeting the people in question, but if they know roughly where you are, and what you look like, well I don't have to explain how dangerous that is. Even beneath that, it's not exactly healthy for young girls to be competing to see who can attract the most men, let alone doing it by appearance alone. Tinder accounts are linked to Facebook accounts, and you can change your details on one by editing the other. No word yet on any action to prevent this, but judging from the response, it's something which needs to be addressed with action, and soon. Meanwhile, a little closer to home, we've been seeing something less dangerous, but very upsetting and shameful. Research conducted into Tinder behaviour by Manchester Metropolitan University has revealed that when men end up on dates with women who are less 'conventionally attractive' they feel like they are entitled to something more from them, owing to a "breach of trust". As circumstantial as that sounds, the research was done through questioning users directly and many of them gave similar variations on this response. It's a logical, if tragic progression, so much of Tinder's basis comes from appearance, and many stories about girls being told flat out they aren't thin or otherwise attractive enough are rife. Referring back to what I said at the beginning of the article, this isn't an issue specific to Tinder, it was just the app which brought this style of dating to the forefront. With the underage access, it's a bit more murky. On the one hand it's better to have teenagers accessing the app in a regulated way than forcing them all to enter through a back-door, but by the same token, it creates a clause wherein predators could feasibly pose as underage users to lure others in. Once a cultural movement like the one Tinder has ushered in takes hold, it's no longer about any one group taking responsibility for it, it's down the whole community to get better.